An interesting and unique combination of fabrics that performed about average. Smartwool's Ultra Light Sport Hoody is unique because it combines lightweight nylon shell material with mesh panels of blended Merino Wool to create a running jacket that is highly breathable. The merino wool mesh is sewn in large panels underneath the armpits to help ventilate this sweaty area. They are also used inside of the hood to insulate your ears. 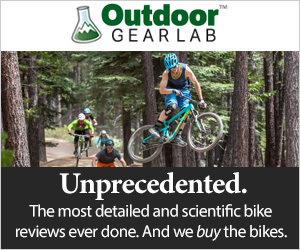 It is an excellent choice for aerobic sports, but there are other models we would choose first, such as the Outdoor Research Tantrum II, especially if value is a primary consideration. The PhD Ultra Light Sport Hoody combines panels of mesh wool with the more traditional running jacket fabric, nylon. The armpit panels provide quality airflow and ventilation, which is great if you are working super hard and need to shed built up heat and sweat. However, they are not great if you want the best weather protection that you can get, as they allow in a lot of wind. This is a great running jacket for high output aerobic activities on cooler days. The PhD Ultra Light Sport Hoody is a great extra layer for runs or hikes when the weather isn't very warm, as on this day at Mirror Lake with Oregon's Mt. Hood in the background. Shown here are the black mesh vents, made of a blend of merino wool and polyester, that do a great job of promoting internal airflow to help stay cool, but which also lower this jackets wind resistance. This jacket excels in the in breathability and venting metric. It's among the airiest jackets in this review. If you look closely you can see the line of open venting on the shoulder here, with some stitches in place to hold the fabric together. You can also see how the hood has no means for tightening. Both of these factors helped make this jacket very well ventilated, but not super wind resistant. Besides the underarm wool mesh vents, which are further punctured by two vent holes on each side, there are also strips of open air vents on the tops of each shoulder, held together by thin stitching. And whether intentional or not, the lack of drawcords to cinch any of the openings also helps to ventilate this jacket. The Ultra Light Sport Hoody is not an optimal choice for very windy, cool days, since wind easily passes through the mesh underarm panels. That isn't the only place it gets in, though. With no hem drawcords, a stiff breeze easily flies up the bottom of the jacket. This effect is exacerbated by the lack of drawcords to tighten the hood. The cuffs of the sleeves, which are half elastic, allow wind in as well. Between vents on top of the shoulders, underarm mesh panels, and a lack hem and hood drawcords, this jacket is not the most wind resistant option we tested. We found the nylon itself to be hard to pass air through, but the jacket as a whole seems to work better as an extra shirt on chilly morning runs or rides than it does on the tops of mountains. Simply put, this is probably the least effective jacket at resisting the wind and isn't the best choice for that purpose. After a quick spin in the shower, we can see that this jacket's DWR coating beads water. Curiously most of it didn't shed off and later soaked in as it sat on the material. When it comes to water resistance, the Sport Hoody is just okay. It has a DWR coating applied to the outside of the nylon body. In our testing, this worked well to bead water. Some of the water then rolled down and off the jacket. But, a lot of the water droplets simply sat on the jacket, and they soaked into the nylon over time. Despite testing a size men's Large, the sleeves are a bit short on this model. We also noticed that the hood feels a bit small as well (it isn't adjustable). Our size large felt a bit small compared to the rest of the jackets we tested. This jacket is best described as a slim fit. Larger body types should consider sizing up. That said, it is obvious the Sport Hoody is meant to be worn over nothing but a simple t-shirt, and to hug the body closely. It achieves this as designed. When needing more warmth, we add another jacket over the top. There is a single chest pocket on this jacket. Here you can see the small round hole designed for your headphone wires to snake through on the inside of the jacket, a nice touch. As mentioned before, the Sport Hoody doesn't have any drawcords to tighten the openings, and to us, the hood feels a bit small. It's also not adjustable. The jacket does have a single chest pocket large enough to hold a smartphone. It also has a hole designed for your headphone cords if you like to listen to music as you move. If you are looking for a jacket with more features, such as pockets and drawcords, we recommend The North Face Flyweight Hoodie, which has both. Not only is it pretty light, but it also stuffs easily into its own chest pocket to form this nice little package with a printed message to make sure you don't forget what it is. Our size large jacket weighed in on our scale at 4.9 ounces, roughly average for this crop of jackets. It also packs down easily into its chest pocket turned inside out. This package is conveniently small, roughly the same size as the Outdoor Research Tantrum II fully stuffed. It has a clip in loop so you can hang it from your harness or outside of a pack. Frustratingly, this loop is elastic, so the jacket is prone to bouncing around a lot. Regardless, the jacket scored well in this metric. We loved wearing this jacket on our forested trail runs in Oregon where the temperatures were rarely above what we would describe as "chilly". The Smartwool PhD Ultra Light Sport Hoody is best used as a shell layer for outdoor workouts when a little extra protection is needed. We enjoyed it the most for early morning runs or runs on chillier days. Aerobic, sweat-inducing activities are its bread and butter. It doesn't seal off or keep out the wind as well as more protective options, so we wouldn't purchase it specifically for that purpose. This jacket retails for $125, putting it on the more expensive end of the spectrum. While it is a quality garment at a reasonable price, we think there are better deals to be found. The Smartwool PhD Ultra Light Sport Hoody is a highly breathable running jacket that is a great layer to fight the chill when working out hard. It is designed with ventilation in mind and is a little light on weather protection. Running in the chilly coastal wind on a peak above Nehalem Bay, OR. Amazon $79.94 - 36% off! MooseJaw $92.99 - 26% off!